The DAX index (Deutscher Aktien IndeX) has been started on 30 December 1987 with the base level of 1000. From Yahoo! 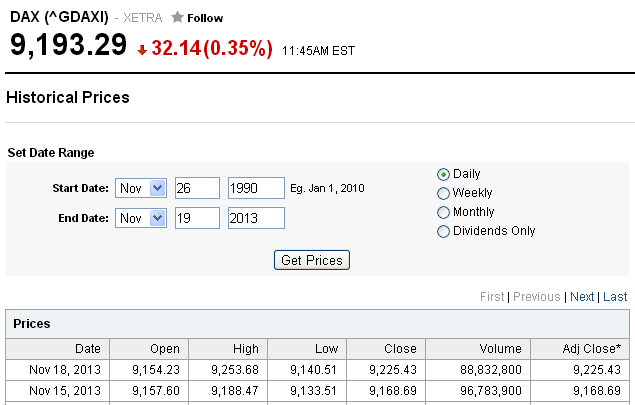 Finance you can download DAX data back until 26 November 1990.